GRANULAR CUP FILLER. 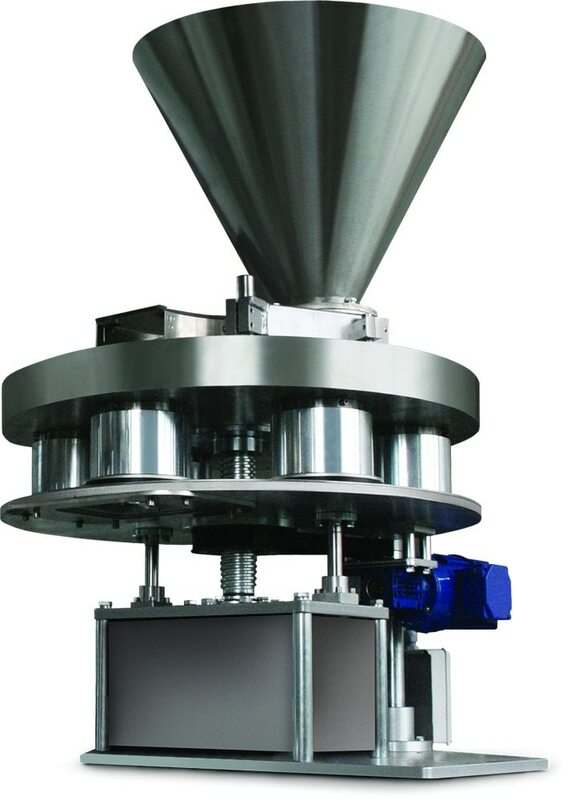 The Volumetric Cup Filler Systems can be used to dispense a variety of dry free-flowing products such as beans, rice, pet food, pop-corn, candy, seeds and many more without any product degradation. Cups of varying sizes can be changed out within minutes to accommodate various products. A set of interchangeable telescoping cups can be adjusted semi-automatically via a hand crank or automatically via a motor to fine tune the fill weights. All Volumetric Cup Fillers are designed to fill both low and high speeds; models will fill up to speeds ranging from 30-50 packages per minute. Options are available to enhance production for your specific needs such as a conveyor, timing screw, Vertical Form Fill and Seal (VFFS) mount.